A futuristic look to this interesting ring. 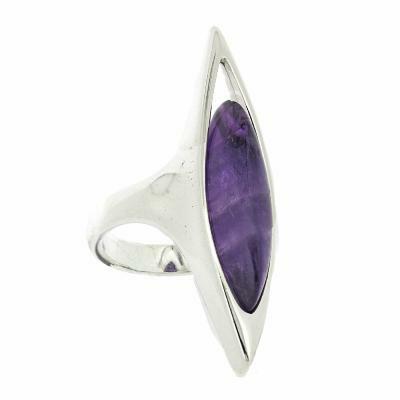 Featuring pure amethyst and silver, this is a real statement ring. The width of the decorative design of the ring is 10mm, height 40mm and the depth is 10mm. The width of the band is 3mm. All measurements are approximate and measured at widest/longest point.